While prices on ultra-high-end cars are rising, even cars under $100,000 can be collectible, auctioneer Rupert Banner says. Here's what mass-market collectors should know. It’s a gorgeous day outside, so you decide to take the 1962 Ferrari 250 GTO out for a spin. Heads turn and jaws drop as you cruise through town. After all, it’s not every day that a $38 million car drives by. That’s a highly unlikely scenario, of course. The owner of the world’s most expensive collectible car isn’t going to pull a Ferris Bueller and risk a run to the local convenience store. But the car’s value, as determined by a 2014 Bonhams auction, gives an indication of the collectible car market’s health. At the market’s top end, each of the 10 most expensive cars ever sold at auction sold for over $10 million. Another factor driving collector interest is the greater availability of sales price data. 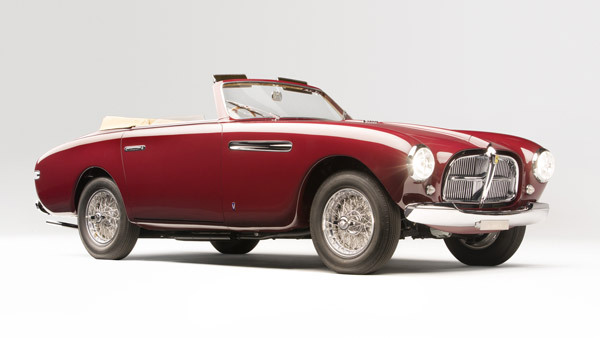 Public auctions, such as Bonhams’ Quail Lodge event, bring both publicity and a touch of glamor to the market. Collectors also can access sales databases like the one published by Sports Car Market magazine to track auction results and price trends. Seven- and eight-figure cars are accessible only to the ultra-high-net worth collector. The cars in that niche are extremely rare and have the best chance for significant price appreciation, but buyers in the below-$100,000 market face a different set of challenges. One challenge is to build a collection versus just owning collectible cars. Collections have a unifying theme that a disparate group of autos lack and are likely to generate more buyer interest and higher prices when a collector decides to sell. Once buyers have established their preferences, Banner suggests buying the best models they can afford in that category. As with any collectible, it’s caveat emptor — pre-purchase research is essential. A considerable part of the car’s value is based on its condition, he says, so prospective buyers need a detailed history on the car’s ownership and repairs. Another challenge for the mass-market collector is forecasting the models that the next generation of buyers will want. For instance, will Generation X and the millenials be interested in original or accurately restored cars from the post-World War II era that baby boomers grew up with and value? Or will they focus more on what collectors call “restomods,” which are older cars retrofitted with modern equipment? Collecting doesn’t mean buyers must ignore their personal preferences for the sake of potential profits, however. Banner believes buyers should stick with cars for which they have a natural affinity.